Property investment in Australia has great potential for more growth. Even in places like Sydney, where house prices have been nudging upwards for years, investors see nice investment opportunities because of the limited supply of property and the tax concessions available. These tax benefits can significantly lower the cost of holding any property. Despite Sydney’s runaway prices, there are still good deals in the market. They may not all be in your dream location within the city but there are plenty of opportunities in the Greater Sydney area. If you’re looking to dive in the Sydney property investment scene, it pays to do proper research and strategise first to make better-informed decisions. We’ve created a list of dos and don’ts of purchasing property in New South Wales’ capital city to help you get started. Although the prices in Sydney have cooled off ever so slightly, experts suggest that there’s still plenty of potential for growth in some parts of the city. There are several urban regeneration and redevelopment plans underway for several areas of the harbour city. Since the Federal Government intends to build a second airport in Western Sydney at Badgerys Creek, the cost of housing in suburbs like Leppington is expected to increase. Similarly, Parramatta is primed for growth and be one of Australia’s next big cities. There are a number of redevelopment plans for Parramatta that have surfaced, and they look very promising. So, if you’re thinking of growing your investment portfolio in Sydney, do keep an eye out for these and other areas that are set to grow. To get the most out of your property investment, don’t buy properties that will appeal to only one segment of the market, like singles or retirees. Look for properties that will attract several kinds of tenants or buyers in the future. This is a major tip in property investing, and it really applies in Sydney since the city is basically a smorgasbord of different audiences and personalities—from corporate types who’d like fast access to amenities to the artistically-inclined who value aesthetics in the places they go to. The type of property you invest in plays an important role in determining your overall financial yield. If you buy a property that has attractive amenities, you can command a higher price for your rental. Tenants look for properties that are strategically located—close to the city, transport, shopping centres, and entertainment districts. They are also drawn to properties with newly-renovated bathrooms and kitchens. Since parking is a concern for residents living closer to Sydney’s major business areas, tenants and buyers always look for units or houses that come with designated parking spots, or are at least near them. A lot of investors don’t know whether they should put their cash into a brand new property or an older one. It’s important to carefully consider both options while keeping the new federal budget changes in mind. As per the new changes, investors who buy an established (older) property on or after 10 May 2017 will not be able to claim depreciation on plant and equipment items acquired through the property purchase. That doesn’t mean it’s not worth investing in older establishments. If you come across an old property that can be easily transformed via renovations, you could add equity instantly and increase the returns on your investment—and there are such properties in certain areas within Sydney. If you’re buying an investment property, you or your solicitor needs to ask for a land tax clearance certificate. This way, you’re not held responsible for paying someone else’s land tax. Land tax is payable on any property that doesn’t serve as a principal place of residence. Each state offers investors a tax-free threshold. The 2017 Sydney land tax threshold is at $549,000. Since each individual is offered a tax-free threshold, it makes sense to spread ownership of investment properties. Think about how your investing decisions will impact your land tax liabilities in the future. Since the APRA has introduced several macro-prudential policies to slow down investment home lending, now more than ever, it’s a good idea to get the help of mortgage brokers. They know how to navigate through the investment lending process and advocate on your behalf to help you achieve your financial goals through property financing. Just as with other important financial decisions, talking to those who already know the ins and outs of the property investment process is important. 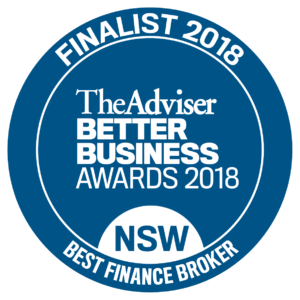 Our experts at Clever Finance Solutions will certainly be able to help you out, giving you sound financial advice and guide you into improving your portfolio and make the right investment and financial decisions.